Steve Gration the President of Save our Spit said "this is a great opportunity to showcase the beauty of the Broadwater and Spit." "All people young and old who value the Broadwater and the Spit are invited to bring their photos and artwork along for display. I implore you to be involved so we can showcase to the holidaying public and the world the area that the current council and government seem determined to destroy." he said. 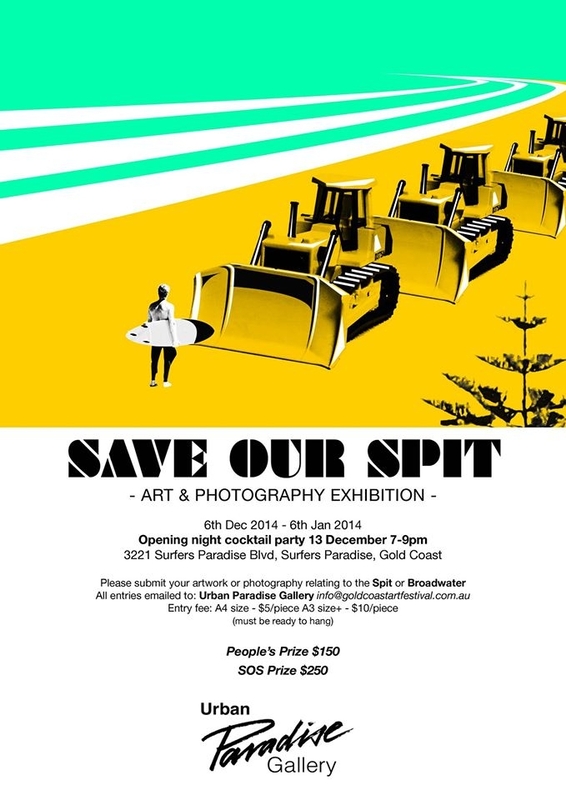 Photographs and artworks entered are in the running to win the first prize of $150 for the people's choice and $250 for the Save our Spit prize.